The Companions were formed to support its members who are committed to ministry with the queer community. Our purpose also includes supporting our personal, spiritual and professional growth as we witness to the love of God for all people and interpret the needs of the queer community to the Church. As members we take no vows after the fashion of beguines, however we do promise to minister and support each other following as we live out our charism, Disiplines, and Principles, and participation in our daily Office. Membership opportunities are layered. The discernment process begins with reading and meditating on the Companions Charism Statement and the Principles. The next step is checking out the Companions introductory reading list. The list includes accessible works on the Beguines, the New Monasticism, Dorothy Day, Franciscan spirituality and Queer theology. When you feel ready to inquire further, email your letter of inquiry to the Vocations Companion at: (companionsofdorothytheworker@gmail.com). Your letter should include the following: who you are and why you are interested in the Companions of Dorothy the Worker; your state of life and work in the world; the state of your relationship with the Church; and your history of ministry in the queer community. Please conclude your letter with your thoughts on how membership in the Companions of Dorothy the Worker will more fully inform your ministry. As your vocational process moves further along, we will discern together the best fit as to membership layer. Full Companions who have adopted the Principles have a history of active ministry in the Queer community and are active participants in their Church community (lay, ordained or professed religious). These Companions meet the requirements of their denomination as members in good standing. Oblate Companions have a ministry with the Queer community that is informed by their faith as followers of Jesus, but for any number of reasons (including safety issues/rejection) are not active members of a Church community. 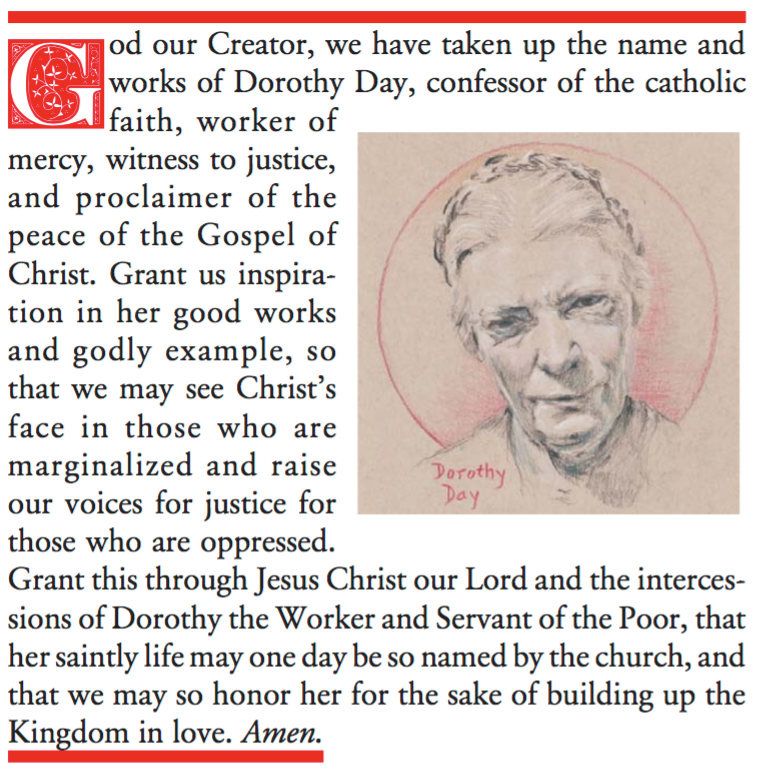 Companions shape the governance of the Companions of Dorothy the Worker; teach, model and witness to the Church in harmony with the Principles and Disciplines of the Companions of Dorothy the Worker. Oblate Companions share ministry and pray with the community as they do their own work in the world in harmony with the Principles of the Companions.